I was on a mission to find a new layering technique that I liked to replace encaustics. Although, I had been worked with wax medium for a while, which had great layering effect, but the smell of the damar resin – even outdoors – gave me such extreme headaches that I needed an alternative. I literally started working with thread on a whim. I had been on a mission to find a new layering technique that I liked to replace encaustics. Just out of boredom, I had picked up a drawing that I had thrown away and started stitching on it with a needle and thread. I was instantly drawn to it. It had never occurred to me that I could actually stitch on paper or draw with thread and that realization blew my creative process wide open and gave me the just the layering that I was looking for. I had no prior knowledge of working with thread. The closest thing to “embroidering,” that I had done, was in my 7th grade class. This was when Home economics was taught to young girls as a way of becoming good housewives. We had to embroider our names on an apron pocket . (I cannot even make that up!) At first, I was very proud of how nicely my embroidered name looked, that soon turned to disappointment. Although, I got the second highest grade in the class, my teacher turned the pocket inside-out and took points off because the back stitching wasn’t tidy enough! She used my classmate Irma’s apron as an “excellent example.” Irma had mastered the skill of embroidery from her mother. Irma would grow up to be the type of woman that could give Good Housekeeping magazine a run for their money. When I started working with thread that teacher’s words would come back to haunt me. It took me a number of years to “simply not worry about what the back of the art piece looked like.” In addition, I try not to called it embroidering because it brings back all the wretched days of that Home economics class. So, I call it Thread work. I try not to called it embroidering because it brings back all the wretched days of that Home economics class. So, I call it Thread work. Through clocking in hundreds of hours of drawing classes throughout my art education, I adore lines. I love a beautiful, expressive line. Powerful lines together make a drawing. Lines can expresses life. Lines can express emotion. I love a line with a task to do. Threaded lines work instantly to create expression. Partly, because it lives on top of the paper. Pencil and pen marks embeds themselves into the paper, but thread resides on top, giving the work more of a three dimensional look. In my artwork, I use thread lines as tool to emphasis the the image, to embellish or even manipulate the viewer’s eyes. In my abstract art, it adds more texture and drama. In the beginning, I only stitched by hand, but now I use both hand and machine stitching. I have foregone the rules. For me, it’s all about the end results. I use what will give me the most expressive line that I am aiming for. I also use a variety of threads. The thread is just as important of an art medium as the paper, canvas and paint. It comes in a variety of thicknesses. I can use a thin strand to create a single, gentle line or several strands of embroidery floss to create a thick line. It’s very inexpensive compared to other art supplies. You get a lot of bang for your buck with a thread. It costs only a few dollars for a spool of 100 yards. One spool of thread can last a very long time. I am always amazed on how long one spool of thread last. The average small spool is 135 yards and the larger spools 500. I can work for a very long time with just a 135 spool. Unlimited Color choice. 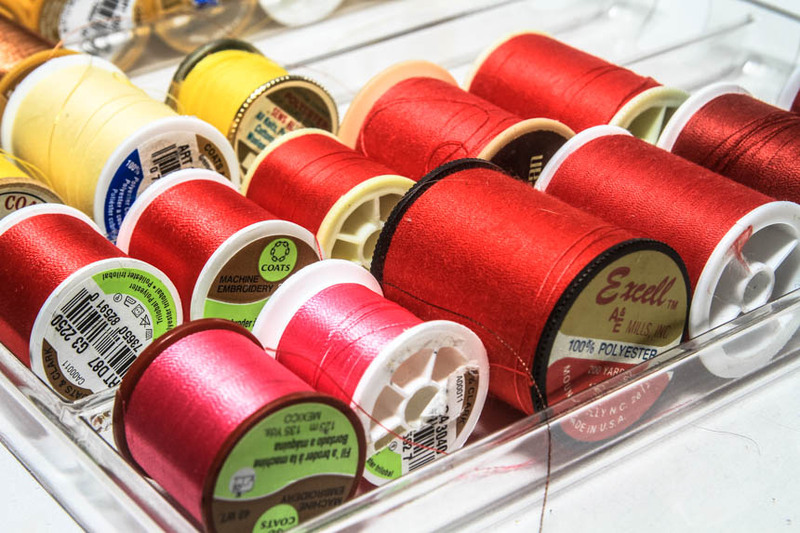 Thread comes in so many colors that it can easily match or even outnumber paint colors. Thread come in metallics. 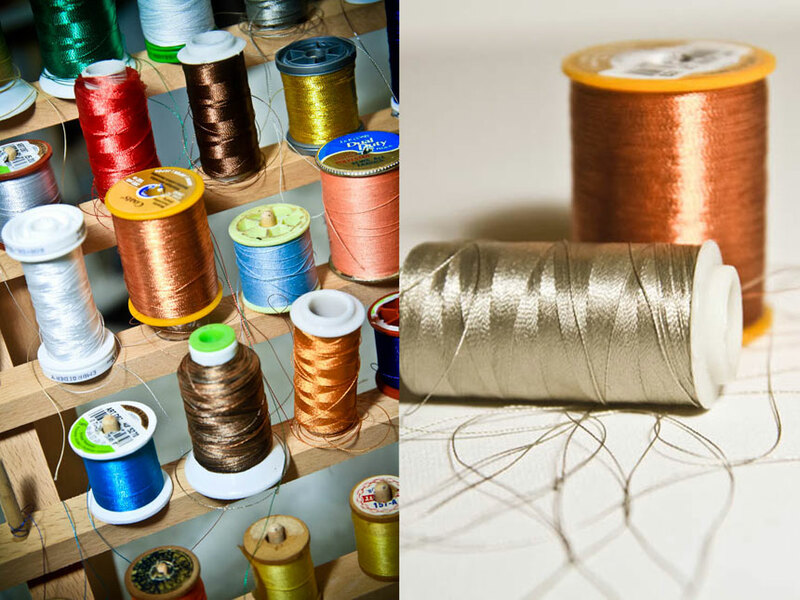 With thread you can give the feel of gold, silver or copper, creating even more depth to a piece of art. Thread work can be done anywhere. You don’t need a large studio. You can do it on the bus, if so desired! You just need two hands! No smell! No headaches from fumes nor do you have work in a ventilated room to work! It’s a great layering. Because it sits on top of the page rather than in it, it give great dimension. It is easily accessible. It is so easy to find it most stores which makes it super convenient to be creative. It can be used on many different substrates. Thread work can be done on paper, canvas, fabric, leather, etc. The sky’s the limit! I keep experimenting all the time! Nonney Oddlokken is a native to New Orleans but has lived and studied abroad for many years. Although considered an autodidact, she received her BFA at Strykejernet Fine Arts Academy in Oslo, Norway. Then returned back to the University of New Orleans to further her interest in Women’s Studies. She says “I could never give credit to just one or to two sources. I have spent more of my own time researching, traveling, taking classes and studying paintings from the top Art Museums of Europe and the United States, than I ever did in a classroom. These experiences have taught me more about art than any university did. To credit an institute that I took classes from 20 years ago, tells too little of my education.” Paying it forward, she started an Arts Enrichment program at Harahan Elementary School and taught art at Hahnville High school. In 2015, she was the guest lecturer for the St Charles Parish School Board Arts Program. Her passion and inspiration stem equally from the arts and the advancement of women which she expresses through her art. 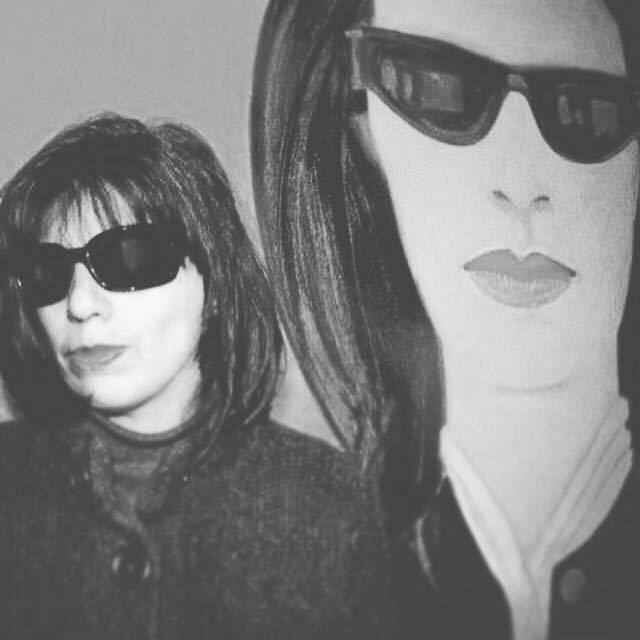 “I try to have an open dialogue about women in my art. To question the lives of women.” In the series, “Tales of a Southern Harlot,” the discourse is of women’s sexuality. In “Midwifery,” the questions lie in Obstetrics practices. In her newest series, “Tethered,” is the reflection of social restraints that are put on women. These works are all captured in a mixed media, using such mediums as handmade papers, threadwork, encaustics, vintage photographs and collage work sewn onto canvases.